Today I leave Toronto. I don’t want to. It took me precisely three days to renew my love of Toronto, so it seems unfair that now I have to leave. I can’t point to an actual moment where I thought: “Oh you….right….I DO love you”. At first, I hardly felt a connection. I walked past my old apartment. Nothing. 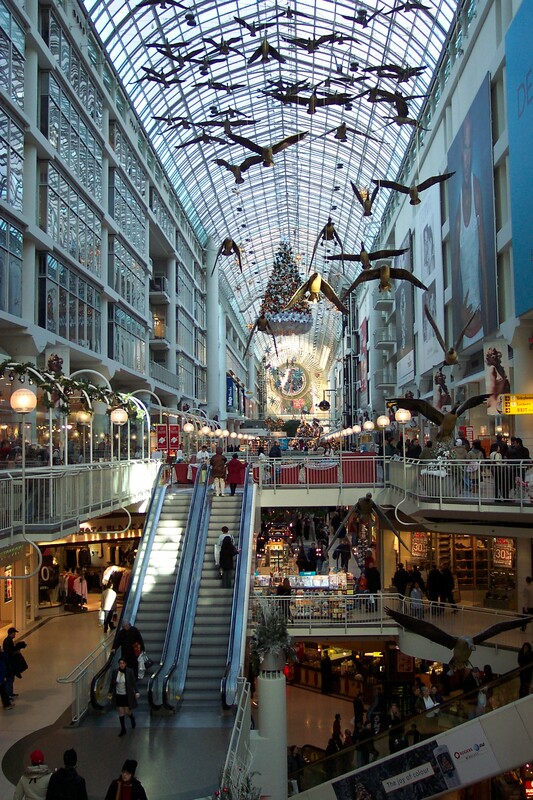 I went to the Eaton Centre. Nothing. My old supermarket. Nothing – mind you, it was Metro, so perhaps that one is understandable. I think I was trying to force myself into feeling something, and it was only when I threw my hands up in the air and let myself feel whatever I was feeling that I started to enjoy myself. And then a funny thing happened slowly; I walked up and down Queen west amongst the hipsters, sipped coffee at Moonbean in Kensington, ate sushi on Yonge street and that feeling I was having trouble identifying in the early days slowly revealed itself to be contentment. I was content to sit in cafes with my fellow RRJ-ers, or grab Greek food on the Danforth with my best friend from high school. I was content to hear a Canadian accent everywhere I went. I was definitely content to join in the sport of making fun of the uuber-conservative (and equally idiotic) mayor Rob Ford. Spending time in Toronto has been like meeting with an old friend. You never have enough time. But you also feel like she will always be there for you, whenever you need her. Still, I wish I had more time here. I wish I had more time to wander my old favourite neighbourhoods. I wish I had more time to walk around with coffee in my hand (Londoners don’t do this!). I wish I had more time to spend with friends and familyI shared mere hours with – friends and family who are even nearer and dearer to me now I’ve spent so much time apart from them.